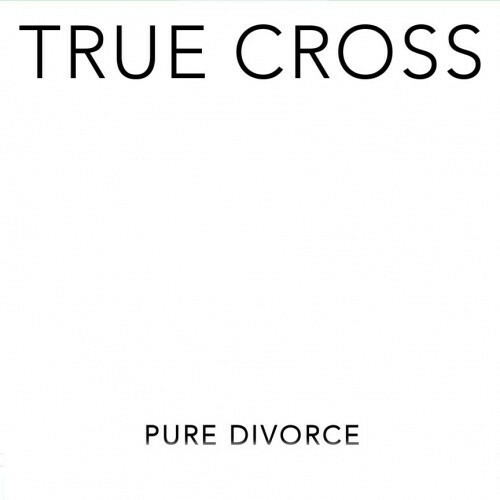 Pure Divorce is the name of the new album by the multi-state band True Cross, set for release on January 22 by Seeing Red Records. In some striking ways, it’s quite different from much of the music to which we devote attention at this site. But we’re featuring a full stream of the album here for good reasons, despite the fact that it’s off our usual beaten paths. The music on Pure Divorce is difficult to sum up in simple terms, which is precisely part of its attraction. It’s heavy and hammering, it’s moody and mystical, it’s drenched in grief and it’s exultant. There are mesmerizing passages of great beauty, where chiming guitars and reverberating clean vocals cascade like a sonic aurora borealis, with flowing melodies that are moving and memorable. And there are places — often within the same song — where huge riffs hit with staggering force. While the high, clear vocals aren’t the usual bestial, jagged snarls and growls you hear on most of what we feature, they are an integral part of this music’s ambience — providing a ghostly, ethereal presence that both contrasts with the spine-shivering weight of the heaviest chords and complements the spell-casting effect of the guitar melodies. Combining stylistic elements of post-rock, shoe gaze, and post-punk, the band have crafted 16 songs, each with its own identity. But what all the songs have in common is the presence of emotionally powerful melodies that stick in your head, and an overarching atmosphere of resignation and loss. If you like what you hear, you can order the album via the Bandcamp link below.